Perhaps you've seen this DIY already, but just in case not, here's a pretty amazing chandelier DIY from the folks at One Kings Lane. Stylist Megan Pflug offers up a step-by-step guide on how to make this beautiful brass piece inspired by a design by Københavns Møbelsnedkeri. She mentions she put this beauty together in less than an hour and that it was just like playing with tinker toys! Apparantly the hardest part is ordering the brass pipe parts. Get the how-to by clicking here. Via Hodge Podge. Isn't that the most amazing DIY? This one is one my must try list! so amazing! thanks for the link! 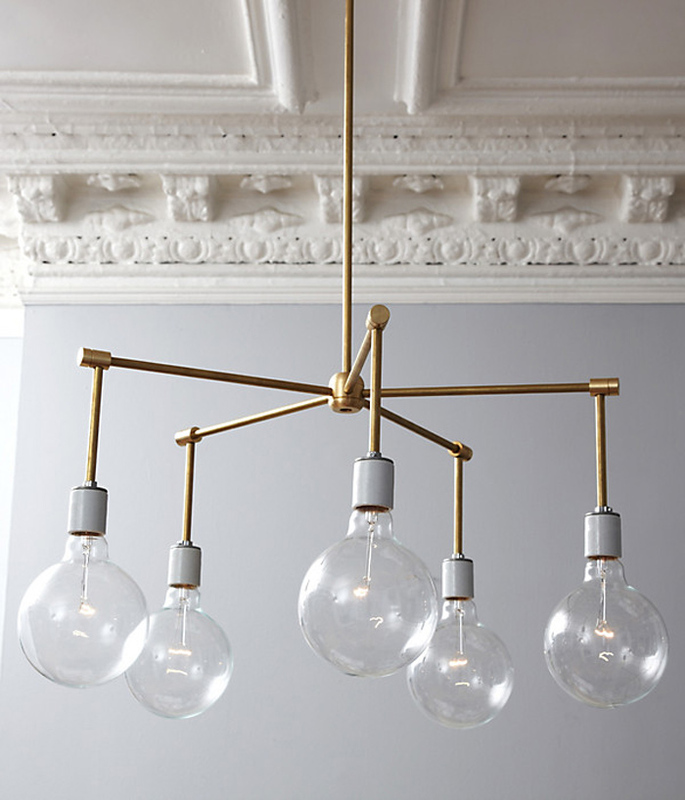 I am absolutely in love this fixture. I can't believe it was assembled in under an hour. Thanks so much for sharing this Jan! yup this is insane, HAVE to try this out!